Get a protein kick with Tamahide's classic oyakodon (¥1,500), a rice dish made with chicken simmered in dashi and sealed with egg. 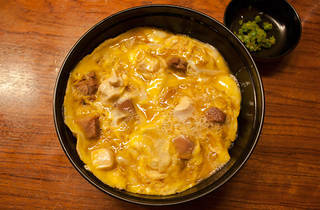 The name means 'parent and child donburi', playing on the fact that both chicken and egg are used in the same dish. 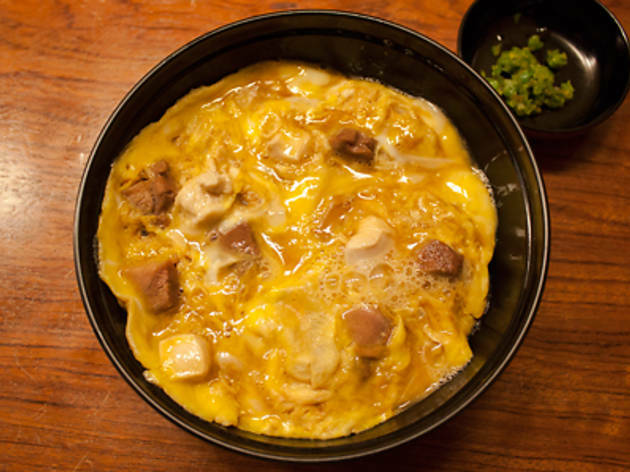 Note that the oyakodon is served only during lunchtime, and the queues can be up to two hours long.